We have an excellent selection of passenger car tires and light truck tires. We sell you quality tires for less because we offer a huge selection of new take off and used tires in all sizes and styles. Contact us today for prices and availiability. 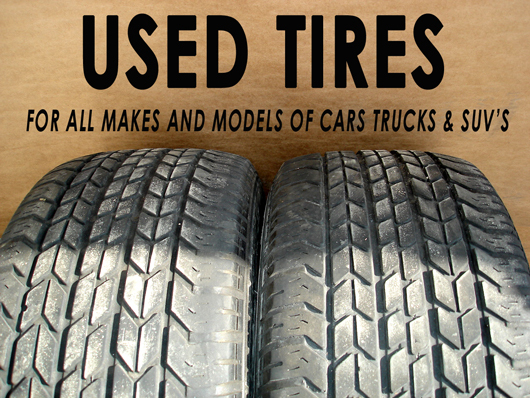 Used Tires, Used Truck Tire Sales, Used Car Tires or Used Auto Tires Remember to make sure that you have your wheels and Used Tires balanced by a professional. Rotate your used tires as specified by the particular manufacturer of your Used Tires. Pick up your tires at our Schiller Park, IL facility.